April 30, 2016.Reading time 5 minutes. Whether you have a day, a weekend, a week, or more, Iceland has so much to see and do that you won’t lack for things to do. And with a free extended layover, taking a week is easy! I realized some time ago that when we pack for trips that the biggest pile of “we have to take this” is the camera and electronic gear. Seriously — clothes? Nah, carry on size is fine! But the camera and ipad and the various charges and cables and supporting stuff? That bag has gotten bigger every trip! May 2, 2016.Reading time 3 minutes. 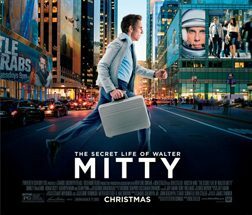 One of the reasons that Iceland even came up as a possible destination this spring was my love of the movie The Secret Life of Walter Mitty. The recent one, with Ben Stiller, not the original with Danny Kaye (although, Danny Kaye is a god and anything he did was transcendent, don’t get me wrong). May 15, 2016.Reading time 3 minutes. 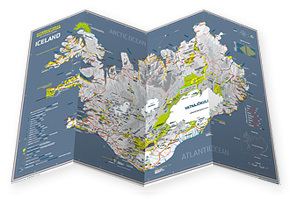 Perhaps the best purchase we made for this trip was an absolutely fantastic map from International Photography. All the best sites, great scenic areas highlighted, even time estimates from point to point once you stray off the main route.